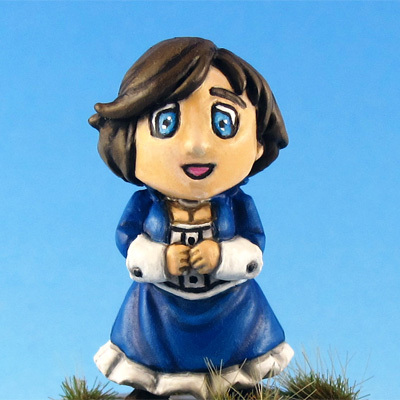 Elizabeth (Anna DeWitt) from Bioshock Infinite is one of my all time video game character favorites. I employed the services of the very talented Martin Baker to sculpt a chibi version of her. Painted her up in her original colors. Elizabeth was sculped by Martin Baker.